CHITRAL: A large number of people from across the country attended the Chitral Cultural Festival organised to keep the cultural values of the district alive. 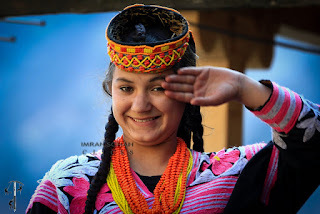 Stalls of embroidery, handicraft, local art, books and literature providing information about the wildlife of the district were set at the event jointly organised by the district administration, sports department and Chitral Scouts. The Caravan Vocational School CVS had set up a separate stall, displaying embroidery, handicraft and decoration pieces made by women who are trained at the school. Speaking on the occasion, CVS Principal, Farida Sultan Faree said that hundreds of poor girls have been learning different skills like sewing, embroidery and beauty grooming courses at the school. She said that around 60 women were enrolled and learning skills that would enable them to earn a respectable living for themselves, as well as, for their families. Farida Sultana lamented at the increase in suicide cases, especially those of women, in a peaceful district like Chitral and said that vicious poverty was behind these incidents, as these women have no economic opportunities. She urged the provincial government and international aid organisations to extend financial assistance and open vocational training centres in the district where locals could learn some skills. She said that the government could contain incidents of suicide by enabling the youth, men and women, to support their families.